Being the Catalyst for Commercialization - wendykennedy.com inc. This Friday, December 4th, something quite innovative will take place in Dayton, Ohio. 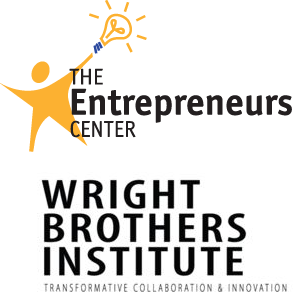 TEC Dayton, a technology acceleration and business incubation center, and Wright Brothers Institute will be hosting their first commercialization catalyst event. While many regions host similar events, this one will showcase an innovative approach to accelerating technologies from federal labs to the market. We all know this is a difficult challenge to say the least, and that’s what makes this event so significant. The Commercialization Catalyst event will bring together ecosystem members including investors, top government officials, industry leaders, entrepreneurs and Air Force Research Laboratory (AFRL) personnel for inspiring and informative commercialization conversations focused on future commercialization opportunities with AFRL. It will also outline the progress of current AFRL efforts, including the SBIR & Startup Technology Acceleration Pilot (TAP) programs. WKI’s So what? who cares? why you? methodology and pre-incubation program are the foundation for these programs, lead by TEC Dayton. TEC Dayton and WKI have enjoyed a long-standing relationship since 2010, when the organization certified its first team member in the So what? who cares? why you?®methodology. Since this time, and under the leadership of Scott Koorndyk, TEC Dayton has expanded its team of WKI Certified Professionals to support its mission to provide federal labs with programs to identify and accelerate technologies from lab to market. Scott recently joined me for a webinar presentation to the USA Federal Laboratory Consortium (FLC) where he laid out the process and programs being implemented at AFRL. 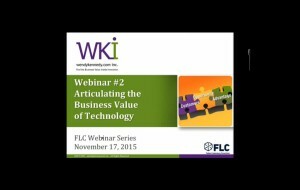 You can view this presentation on YouTube or the FLC website. This Friday’s Commercialization Catalyst event is an opportunity to showcase the industry progress being made to date, and expand the conversation to reach new partners. I’ll be sharing news about this exciting initiative in future posts, so stay tuned!